Yeah, I know. He makes a compelling argument, right? So I continued badgering him (giraffing him?) until he finally agreed. And now that I’ve seen what he can create – a post littered with puns, corny jokes, and photos of monkeys – I know that it was TOTALLY worth the wait. Now if he’d only update his own blog, too. When embarking on your very first guided African safari, be prepared to answer this seemingly fair and simple question: What animal are you most hoping to see on today’s outing? If asked, please know that your safari guide is not conducting an opinion survey; that this question is not to be answered subjectively. This is a serious, pass/fail quiz, and there is but one correct answer. These good folks were there for some big, ferocious-feline action. Nobody gives an ess about a few tall, gangly leaf-eaters. My absurd, American crazy-talk was not to be tolerated on this excursion to Lion Town. It’s not that I don’t care for huge, killer cats. My lame interest in non-lions aside, I actually think they’re pretty badass. But I also try not to be so single-minded in my pursuits. 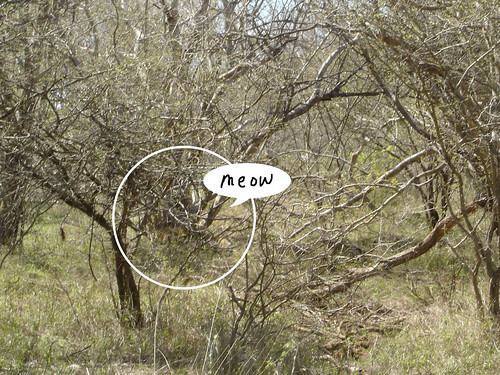 Given that he wasn’t doing much, and was barely visible in the thick, shady brush, the encounter proved only mildly exhilarating. 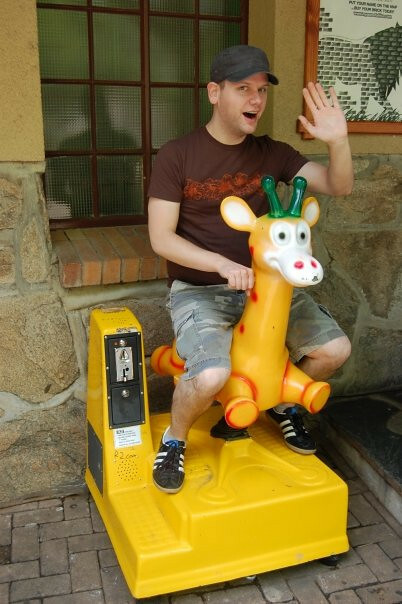 But anyway, having shrugged off the shame of my apparent “giraffe” gaffe, I was totally stoked for our three-hour safari adventure to begin. Kruger National Park is home to sizeable populations of exotic wildlife we Americans might recognize as sports mascots (go, Zebras!) and symbols of certain political parties (vote Hippo!). 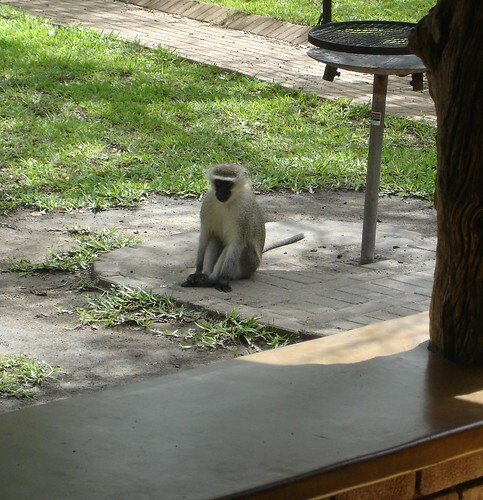 Its differences from the familiar urban habitats we call zoos are subtle, but many. For one, the resident animals can roam the park freely, while humans are confined to packed safari trucks and fenced-in rest camps. 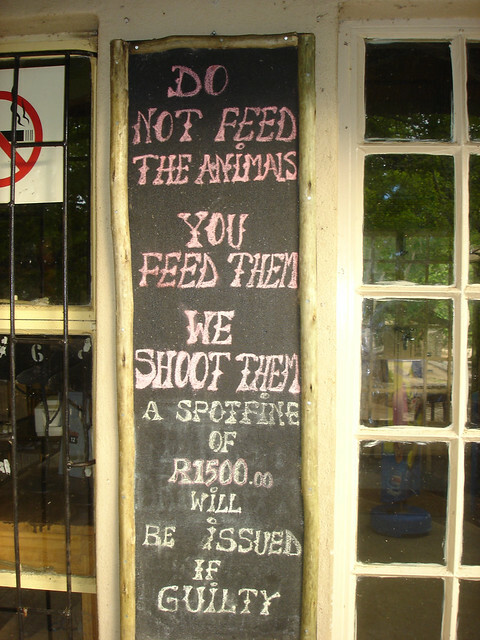 Also, the animals are quite adept at feeding themselves (so stay alert, and sign this legal waiver). 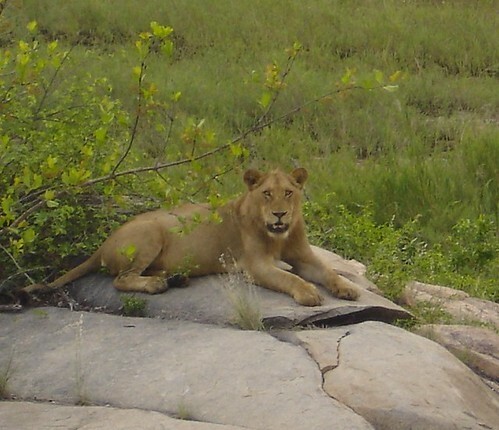 And the park is as big as New Jersey, making quality photo ops with its fifteen hundred well-scattered, mostly nocturnal lions something of a hard-won prize (see above). 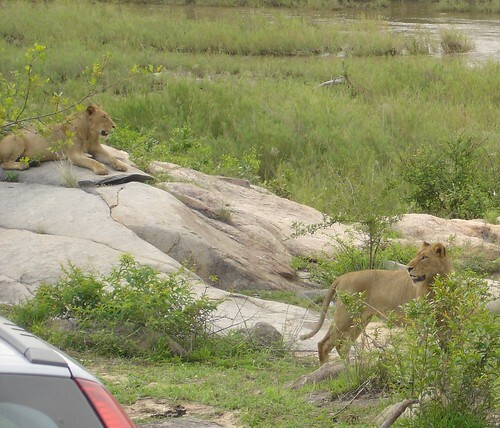 Luckily, there’s plenty of non-lion awesomeness to take in at Kruger. 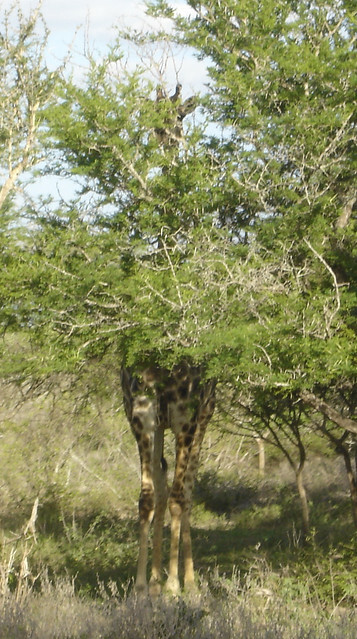 Did I mention that the very first animal our group spotted, the moment we pulled out of the gate, was, wait for it… A GIRAFFE! Dan: 1. Everyone else: zip. Also, you get to learn neat, little-known animal facts. 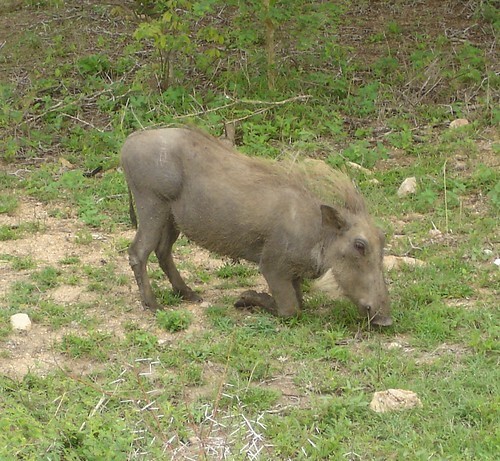 Did you know that warthogs have no necks, and have to kneel on their front legs to reach the ground for food? Or that a few dung beetles can reduce a fresh monkey turd to a mere pavement stain in just minutes? Hey, man. Can I bum a banana? At one point, we saw a whole troop of these guys sprawled lazily across a quiet stretch of road. 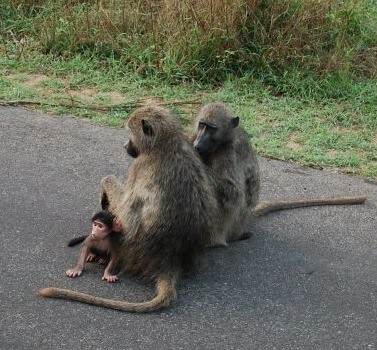 Looking rather docile, they could just barely be bothered to make way for our slowly passing safari truck. 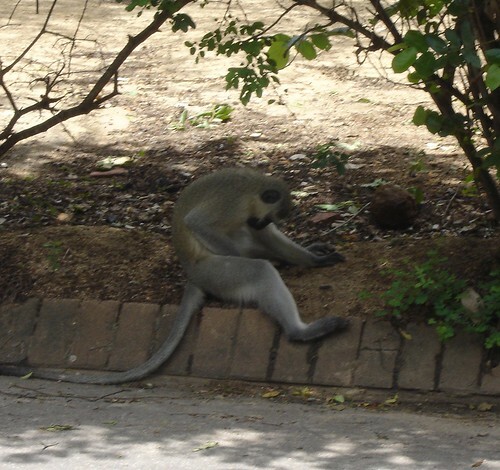 But then, a large alpha-baboon came charging down the road. He was barking what we guessed were baboon orders for, “Move your puffy, red asses! There’s a predator nearby!” The male sentinels quickly lined each side of the road, rigidly poised at full attention, while the now-alert females gathered around to shield the young. In an instant, these suddenly intimidating baboons were prepared to take on any threat. This was some serious monkey business. In a sudden, terrifying moment, the elephant charged. 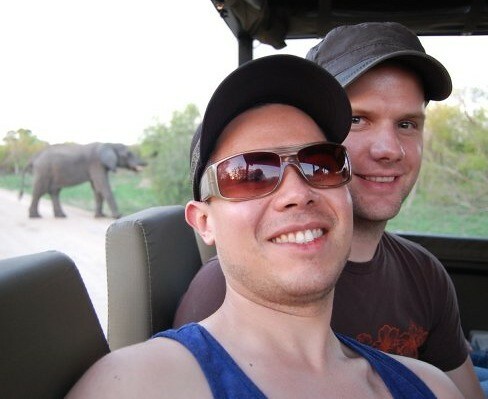 He came at the rear corner of the open-air truck – right where my boyfriend Mike and I sat particularly exposed (to the elephant, pervs). In a minor panic, Mike yelled, “GO! GO! GO!” to the driver, who then revved the truck’s loud diesel engine. 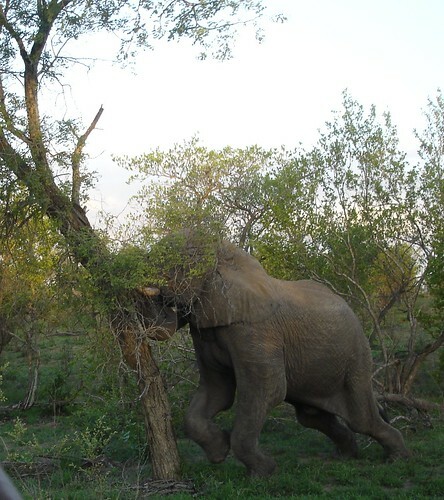 The noise seemed to startle the elephant, and he backed off as the truck peeled away. Our equally tactful safari guide figured this was a perfect time to describe the gruesome manner in which angry elephants dispatch their victims. 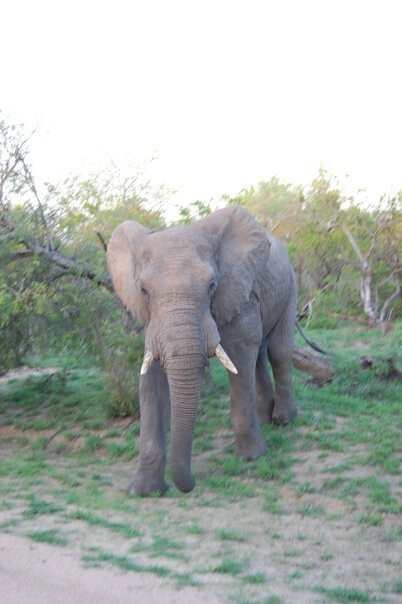 It seems that some elephants, not satisfied with a quick, crushing stomp, prefer a more “trunks-on” approach: “Oh yes, he will wrap his trunk around your neck, and remove your head from your body.” Real nice, safari guide. What? We were here the whole time. Where have YOU been? Well played, lions. Well played.